Hang your hometown or favorite city it out on your wall. Radius brings cities from far and near to your apartment and hold even your jackets, hats, umbrellas and bags. Every wardrobe has room for 19 solid hook and can be hung individually or arbitrarily in series. The black wall furniture is a precision laser-cut, functional accessory for hallway or room. 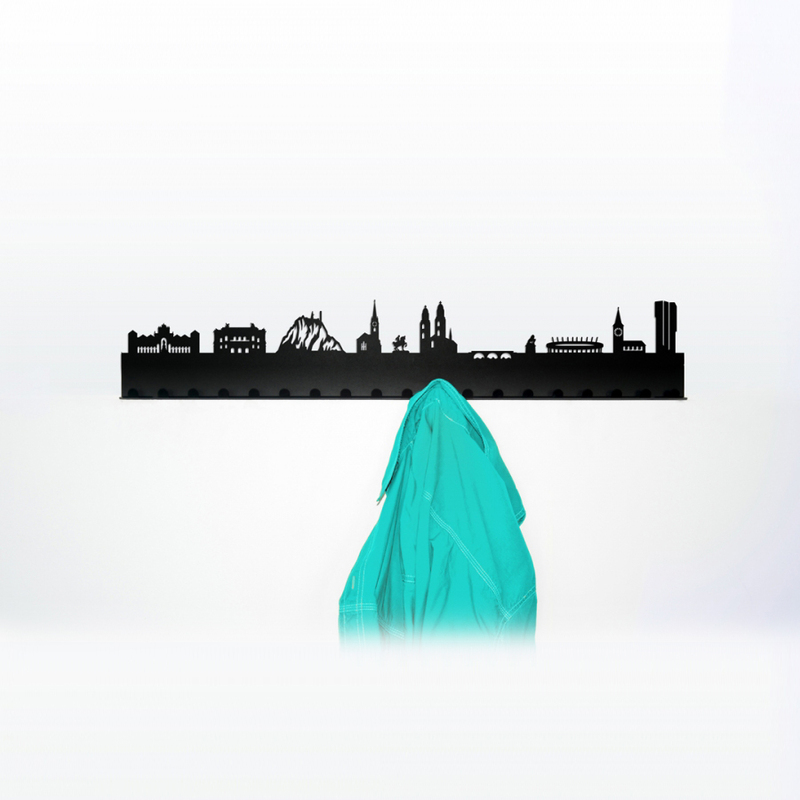 World traveler, daydreamer and local patriots see the 50 cities wardrobes of radius determines its urban favorite, embellished its skyline in the form of a black silhouette of the wall and the handle to the jacket.